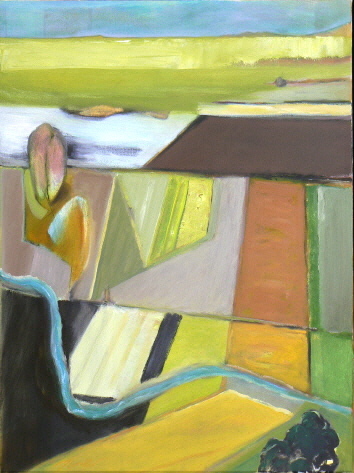 This collection developed from an inspiration I had while commuting to my Seattle studio and home in Tacoma. 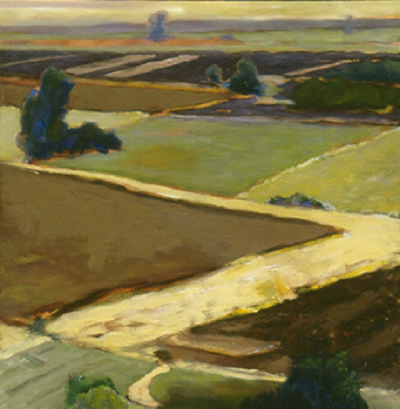 Every night, I would look down at the Kent Valley and imagine how the valley looked prior to warehouse and industry development. 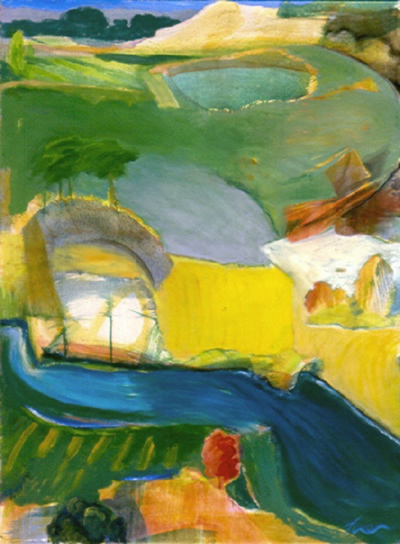 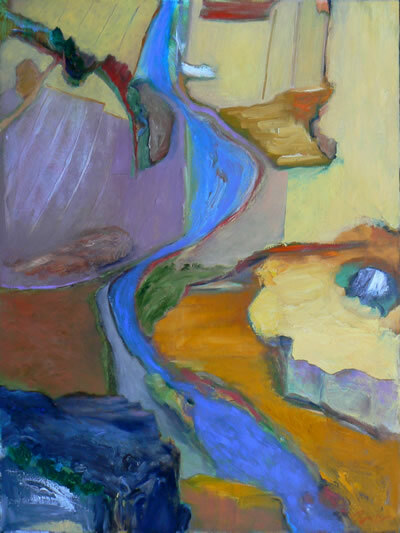 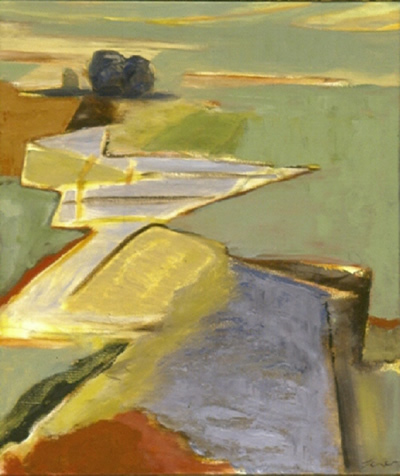 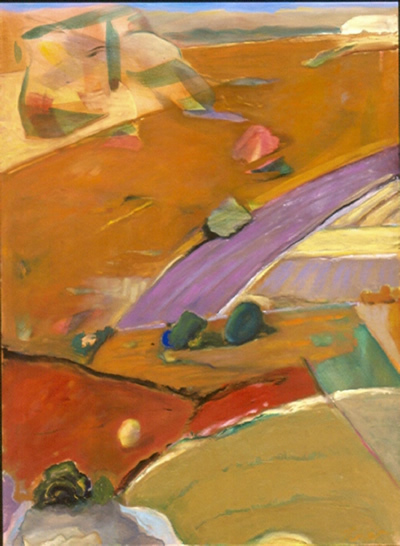 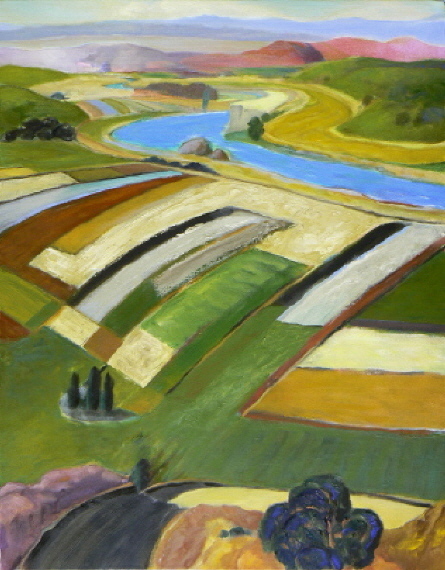 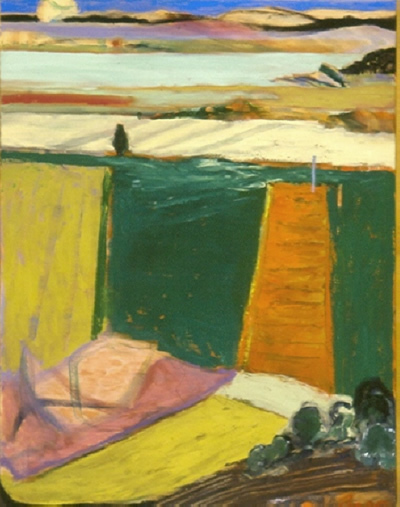 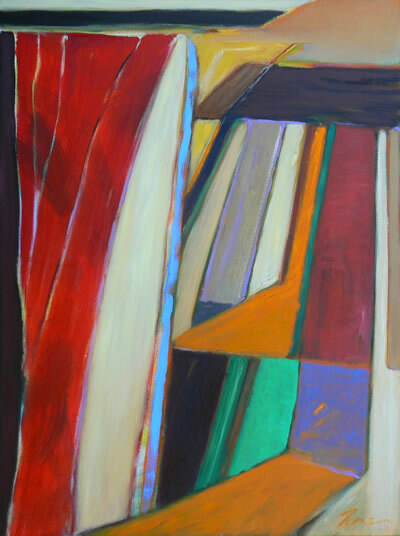 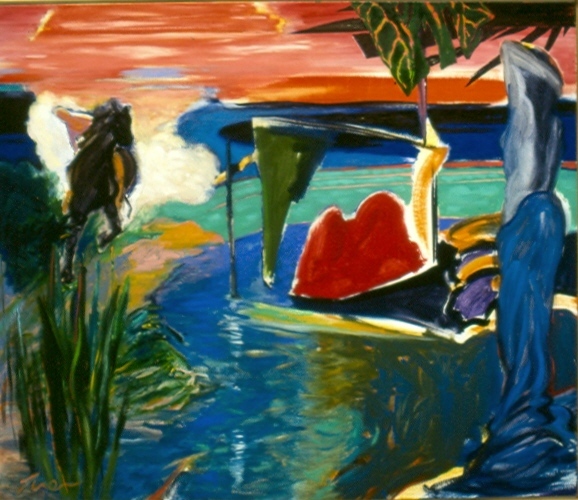 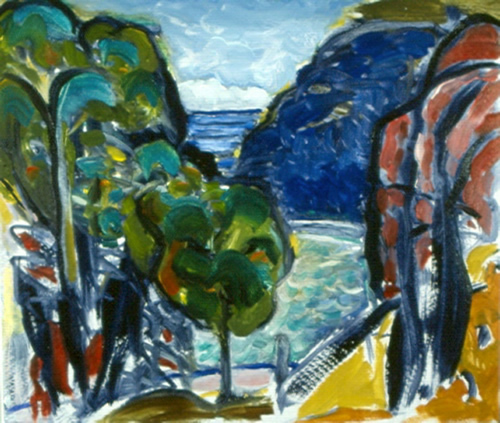 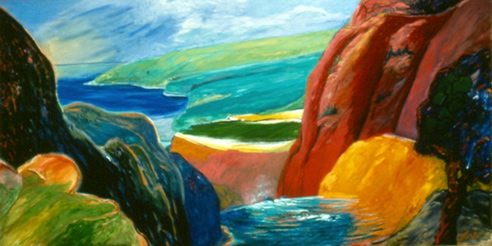 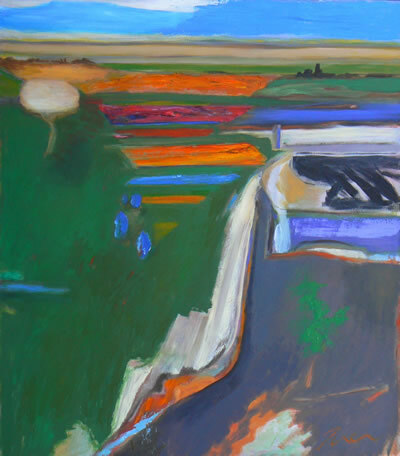 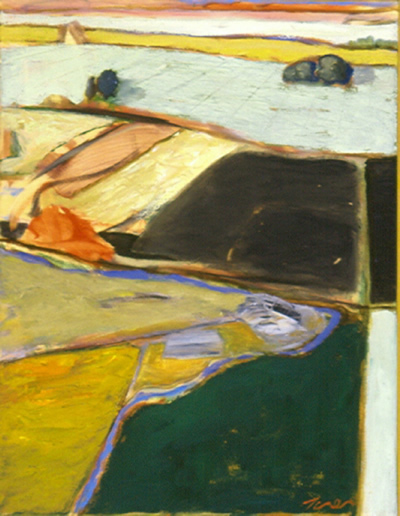 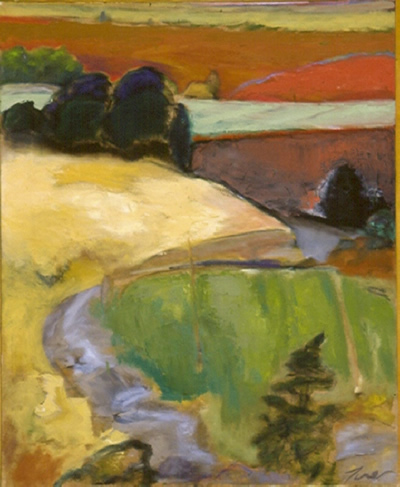 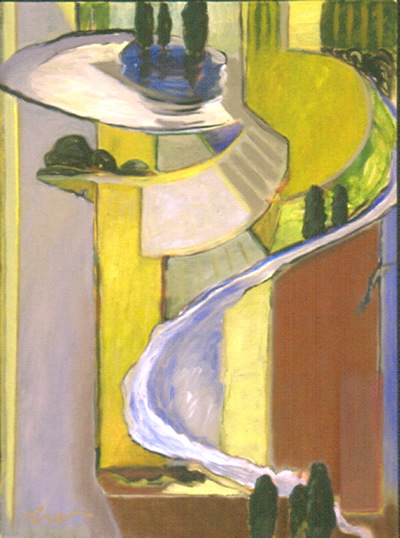 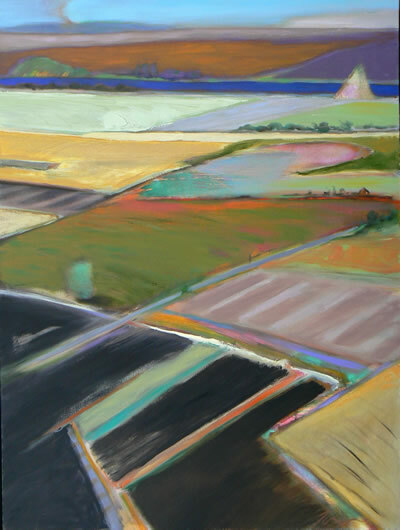 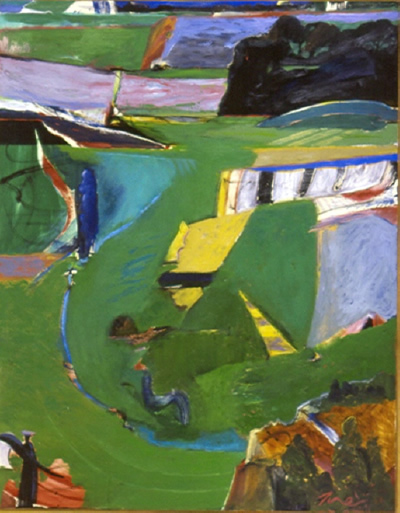 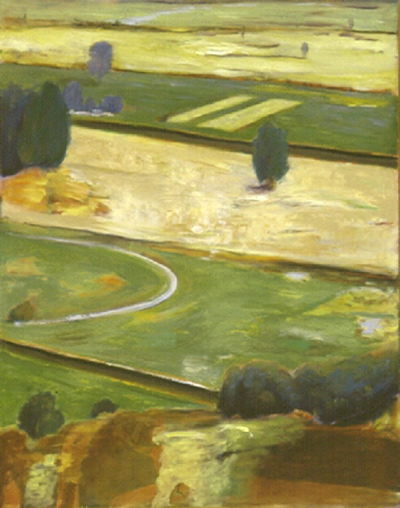 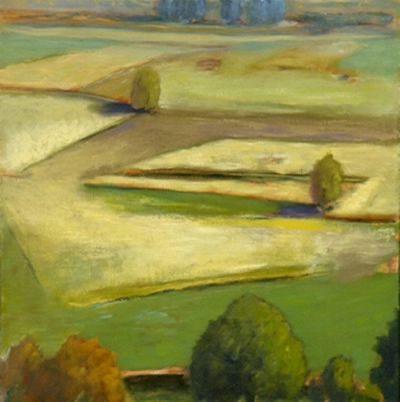 While the paintings are all imaginative, many do have the appearance of looking down, as one would while on an airplane, to the landscape below. 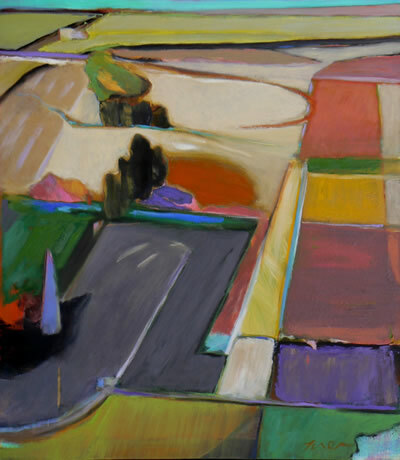 This period was a fertile for me as a painter, as the agricultural land of the Skagit Valley and Kent Valley is to the farmer. 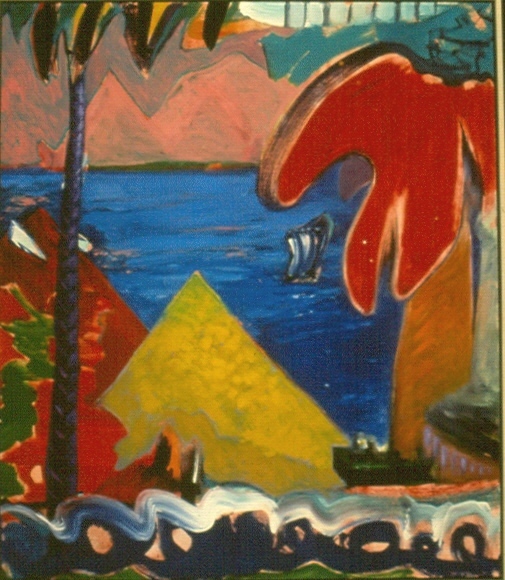 Additionally, this collection also includes work, mid-1990s, for which the tropics were an inspiration. 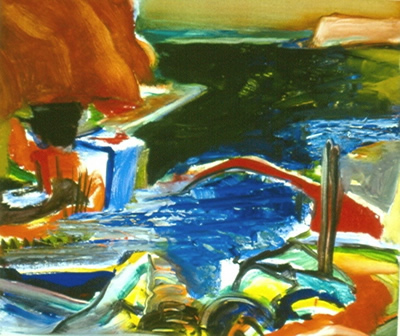 I suppose, at that time, I was dreaming of my days living in Hawaii or on the Southern California coast.